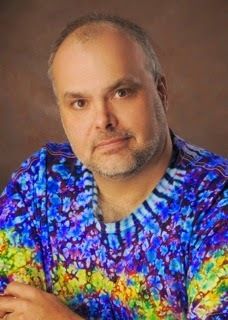 Ann Marie Meyers: ELEANOR (THE UNSEEN) by Johnny Worthen - a must-read!!!!! 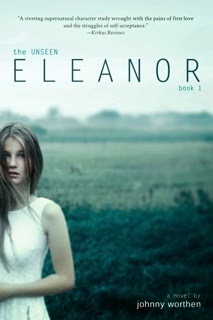 ELEANOR (THE UNSEEN) by Johnny Worthen - a must-read!!!!! Johnny Worthen Is a master storyteller. He reels the reader in like a fish on a hook, with slow, deliberate pacing, until it’s impossible, unimaginable even, to pull away. That’s what it’s like reading Eleanor (The Unseen), at first glance a book of horror, but fundamentally so very much more. (For those of you who missed my interview of Johnny for his first book, Beatrysel, you can find that here. During that interview we saw Johnny's funny side. Today, we see a serious, more reflective Johnny). AMM: It’s great to have you back, Johnny. Welcome! AMM: Does the ‘monster’ in Eleanor (The Unseen) have any basis in fact or is she purely a figment of your imagination? If the latter, how did you come up with the idea? JW: It’s strange. I never thought of Eleanor (The Unseen) as a monster story, but I guess it is. I mean there is a monster in it. Weird. It’s been called a romance too and that kind of took me by surprise. Sorry, okay, the monster was inspired by the Navajo legend of the Skinwalker, which I first encountered in Tony Hillerman’s book by the same name. A little research showed me that the trope of a shape-shifter is a universal one. There are stories about creatures with differing but similar powers spread out over the historical record of most cultures. I didn’t base my monster on any one of them, merely the idea that it was possible, that it could be done. The Skinwalker of Navajo legend is an evil magician. My monster isn’t evil. My monster isn’t a magician. My monster is lost and afraid. My monster is different but the same. My monster is lonely. AMM: Loneliness. I can definitely identify with that. I loved the pacing and depth of character in Eleanor (The Unseen). You seemed to know these characters from the inside out. Are any of them based on someone in particular? JW: All the strong women in my life are there. 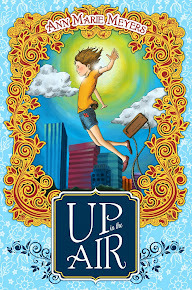 The original title for the book was Tabitha, and the series was to be called Eleanor. That didn’t make it to the third book, but you can see my original thought of putting Tabitha, Eleanor’s mother, in the title. She is my grandmother, and my early baby-sitter both of whom died of the wicked disease cancer. Eleanor was inspired by several people in my life, my niece, some friends I know. All the shy girls whom I know are special and wonderful waiting to bloom. I only have sons myself, so Eleanor gave me a chance to have a daughter. She’s more than the sum of her inspirations. She came alive in the writing and I know her as well, if not better than my own boys. She’s my Eleanor. AMM: If I hadn't read your book already, I would definitely want to do so now. Tell me, what’s a normal writing day like for you? JW: I wake up way too late, a side-effect of staying up way too late. I have coffee, the first of the day, and catch up on my emails. If I have any important correspondence, interview and contracts, I’ll look at them in the morning. I’m sharpest the for that kind of thing. I’ll putz around social media and come alive, read some blogs, write a bit, check calendars and such. I’ll then turn to the project I’m working on and either dive in for a few words, tweak my outline, make the changes that came to me while I fell asleep the night before and slide back into my story a bit. I’ll read a book over lunch, spend an hour in someone else’s head and do whatever chores I need to do. Dinner, cleaning, work that makes money. That kind of thing. Depending on my level of distraction at home I’ll then either write on the couch, lock myself in the study, or leave the house and get a coffee at a dark coffee shop I know. I have to get my words in every day. My goal is 1,666 and I make sure I hit it when I’m in that mode. After the words are in, caffeinated and after six, I’ll stagger home and watch a movie with the wife and try to decompress. I usually put another hour in on the story then, tweaking the outlines, characters, writing chapter synopses, editing that day’s work. If I fail to get my words in, I’ll often find myself in the dark with the house asleep writing them then. That’s some good writing time. I got bed after that and of course don’t sleep, but keep my wife up with my scribbling notes in bed. I keep a lighted pen on the bedside and some nights I’ll make four pages of notes. Those are really productive. Sleep and do it all again next day. JW: I always try to remember the central question the book I ‘m writing about. I call it theme, but it’s not like a moral, “Good guys win/bad guys lose” “Eat your vegetables,” but more of a question or a concept I’m investigating. I don’t know any other writers that work this way, but I find it really helps me. In Eleanor's case, I knew I wanted to explore the terribly complicated time of adolescence, the isolation and the peer pressure. I wanted to approach it from the view of ultimate outsider who, though can be anything, doesn’t – or won’t fit in. The theme was Change. Change versus staying the same, courage to change ideas and perspective, physical change, emotional change. Maturity. Always the pain of it, the uncertainty, the fear. Life is change. That kept my going. AMM: You mentioned genres before and you call yourself a multi-genre author, what genre would you say best fits Eleanor (The Unseen)? JW: Eleanor (The Unseen), has been called, paranormal, romance, and even a horror recently. I suppose that’s because there is a monster in it, and also because of my previous book, Beatrysel. But I never thought of it in those terms. Genres are tricky. I’ve never assumed a single one, my motto is “I write what I want to read” and so find myself all over the board in genres. Eleanor, more than anything I’ve written isn’t a genre piece in the traditional sense. The three-act structure is not primary. It’s very thematic and a slow burn. I think of it as a fable. It rises to the crises slowly, exploring the characters and the place, setting deep foundations for the final scenes to play upon, depth and gravitas. I was influenced greatly by To Kill A Mockingbird and Watership Down as I wrote it. I loved the gentle pacing of those books. I didn’t want to rush Eleanor. I think it paid off. I hope my readers think so too. AMM: It definitely paid off. Thumbs up... So what’s next for you? JW: I’m trying to place a couple novels I’ve written and I’m always making more. As for upcoming books, I can look forward to Celeste, The Unseen 2 and David, The Unseen 3, coming out in succession. Eleanor is a standalone, the story completes satisfactorily at the end of it, but should readers want to follow Eleanor's story on, they can in the others. It’s an amazing tale. Also next year, I’m really excited about the release of my adult comedic/mystery called The Finger Trap. It introduces my slacker detective Tony Flaner and gives me a whole new set of genres to fall under.